Having knowledge about the thermal properties of polymers is decisively advantageous in the production of high-quality plastic parts. Powerful thermo-analytical methods can help to answer important questions in the areas of product development, quality assurance, failure analysis and process optimization. NETZSCH Analyzing & Testing has therefore organized a pair of webinars targeted toward specialists and executives from the plastics industries who are as yet inexperienced in thermal analysis techniques for polymer characterization – particularly DSC and/or DMA technology – and who are aiming to familiarize themselves or are seeking new inspiration in this field. The webinar “DSC Analysis of Polymers for Beginners” will inform participants about the No. 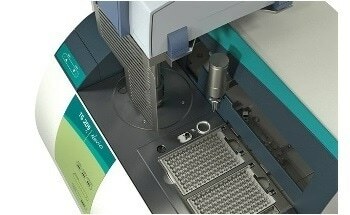 1 thermo-analytical method for polymers – DSC (Differential Scanning Calorimetry) – with which thermal effects and derivational magnitudes for such properties as melting, crystallization, cross-linking, glass transition, specific heat, and oxidation can be investigated. The webinar “DMA of Polymers for Beginners” will introduce the DMA (Dynamical Mechanical Analysis) technique, which yields information on the mechanical properties of viscoelastic materials – such as storage and loss modulus and damping behavior across a wide temperature range. The two webinars will inform participants about the type of information that can be gathered with DSC and DMA, respectively, and will explain the methods using application examples. NETZSCH is expecting high attendance at its two upcoming introductory-level webinars.